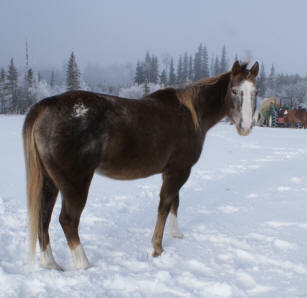 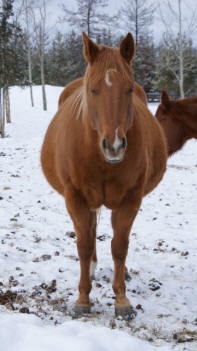 Sassy is ultra sounded and confirmed in foal to AQHA dunskin stallion “Dunit In Boomtown” for an April 2013 foal! 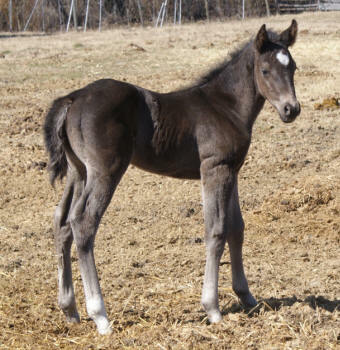 We are so excited, this will be one exceptional foal. 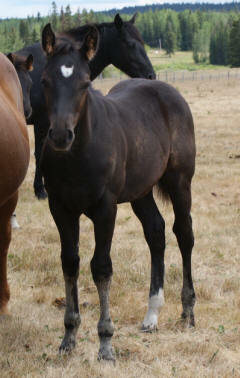 Sassy had a big beautiful filly out of Nifty TC. 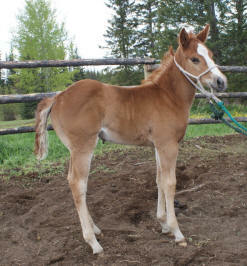 This filly is a nice stocky prospect bred for reining, working cow, ranch work, rodeo events, and/or halter. 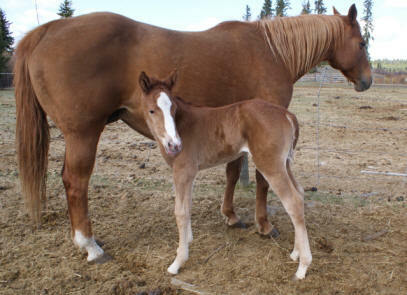 Sassy and her 2010 filly, Alaska, at 1 day old. 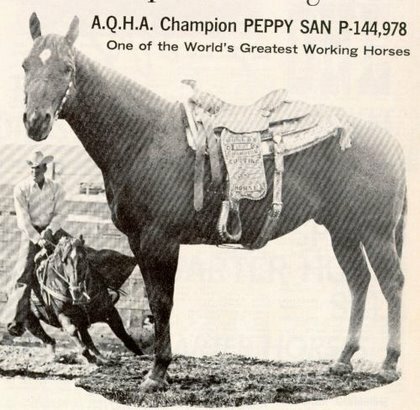 Sassy is a proven producer of champions. 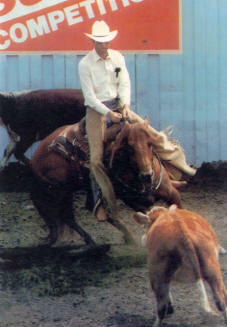 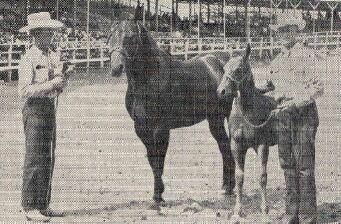 She has produced reining champions here in BC. 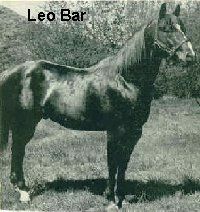 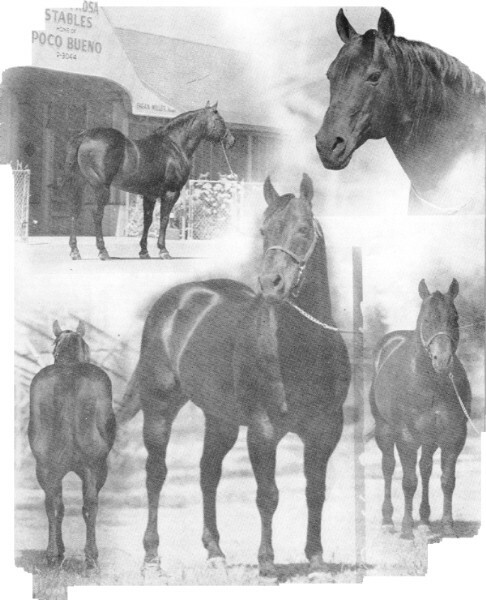 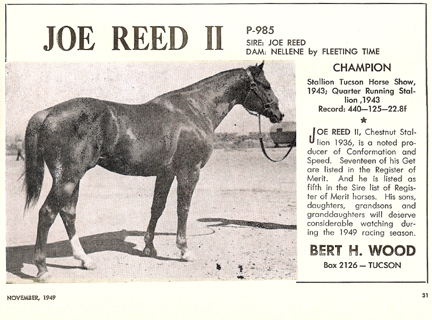 As an own daughter of Cue Bar Peppy, a granddaughter of Peppy San and a great granddaughter of King Leo Bar on the top and a granddaughter of Doc Tom Tucker on the bottom, this gal is an excellent cross with either of our stallions. 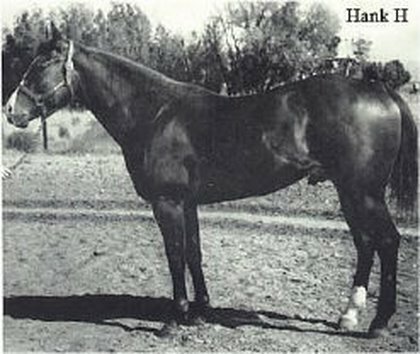 Here she is pictured at 15 years old! 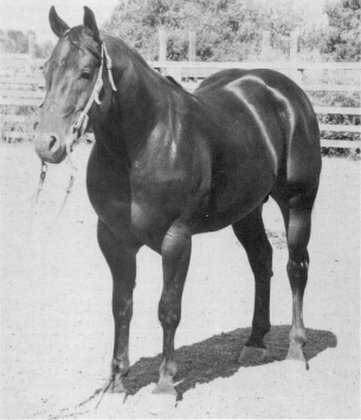 She is still looking good, especially for a broodmare. 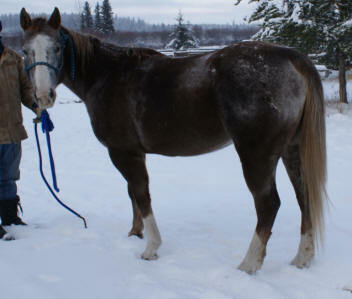 She has a beautiful hip and strong bone, she stands about 15.2hh. 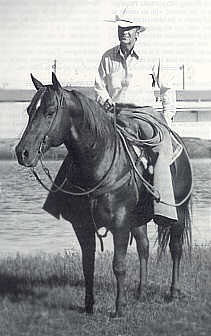 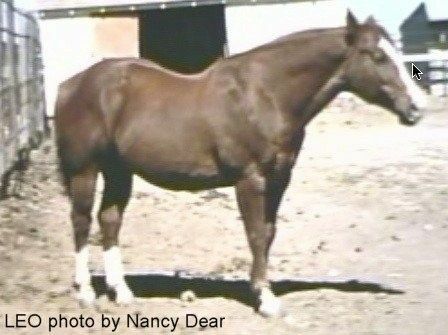 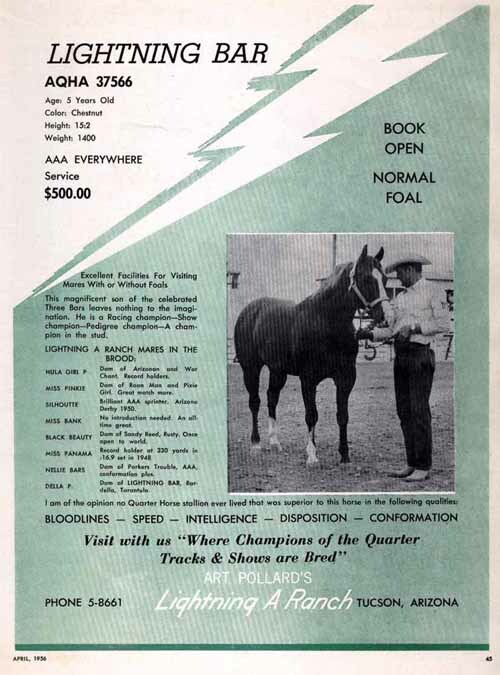 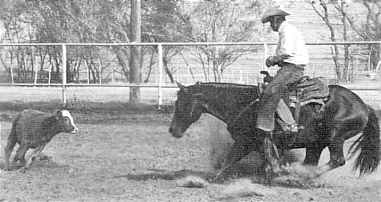 Sassy was trained and was about to start her show career in reining and working cow horse/cutting, but a severe cut from a culvert prevented her from competing. 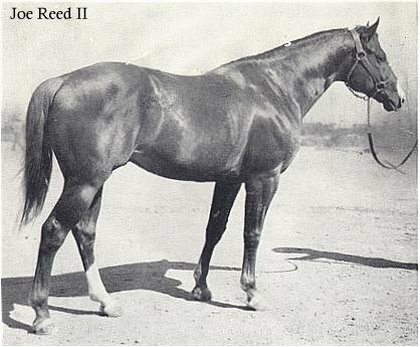 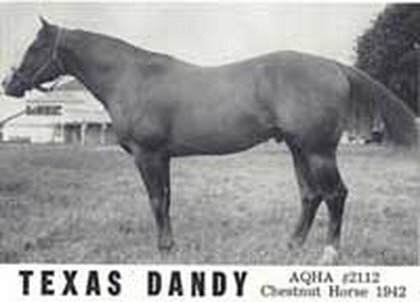 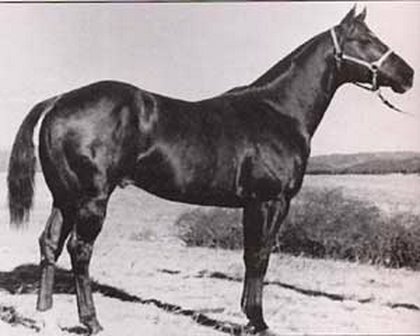 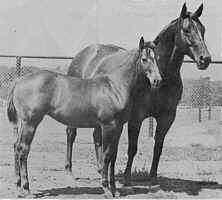 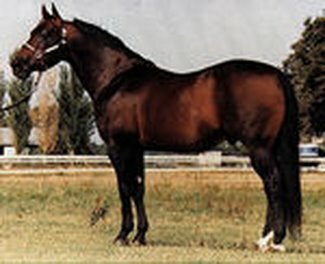 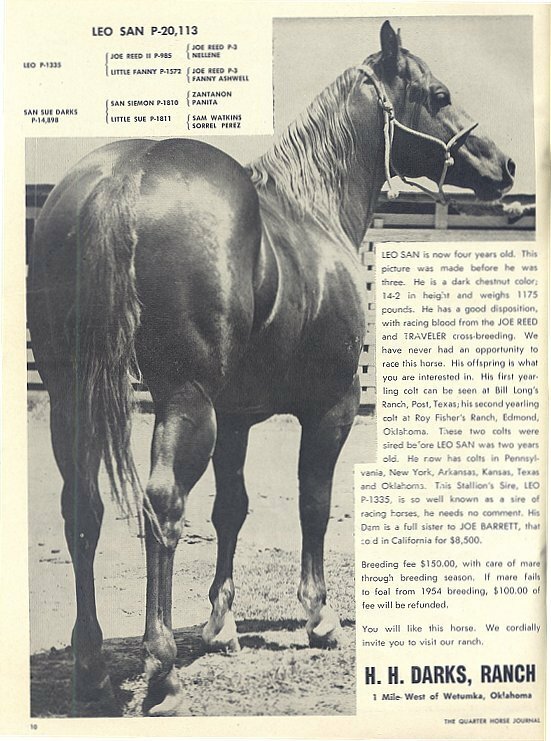 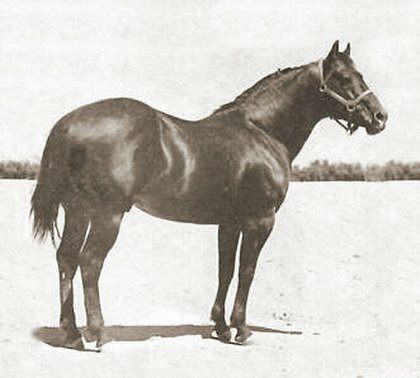 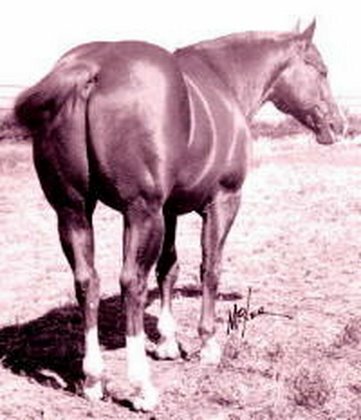 After she was healed every time she was worked hard, that leg would swell and she’d come up lame, so a broodmare she became, and she has raised amazing foals.